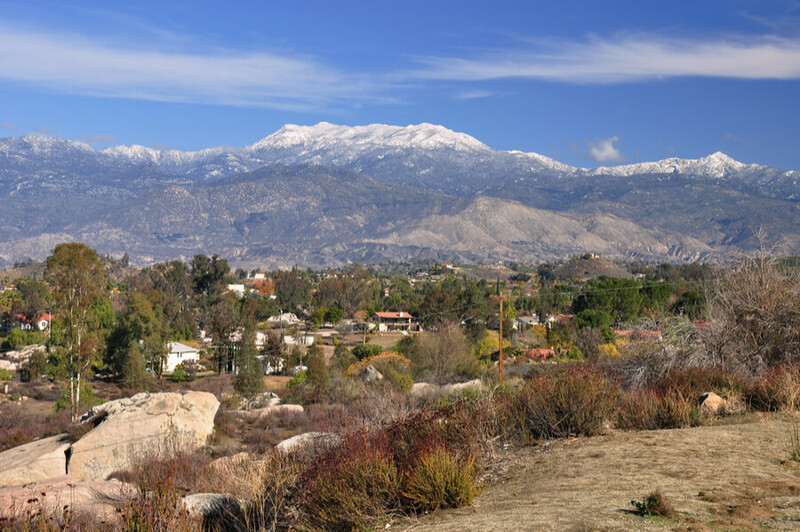 Hemet Valley Recovery Center and Sage Retreat, located in the city of Hemet in Southern California and nestled in the San Jacinto Valley, is an addiction hospital for young adults, older adults, and families suffering from chemical dependence and substance use problems. The center began in 2001 and bases its treatment philosophy on chemical dependency as a disease which progressive, chronic, and curable. The hospital is a part of the Hemet Valley Medical Center and offers a full continuum of care for patients consisting of medical detoxification, residential, sober living, and outpatient programs. A partial hospitalization program is also available at the center. The center provides individualized, comprehensive treatment suited to fit each of the patient’s needs with the help of an interdisciplinary team consisting of registered nurses, dieticians, psychologists, physicians, adjunctive therapists, and psychiatrists if necessary. The hospital also offers separate treatment programs for young and older adults, each program adjusting its services to suit the special needs of each group. Additionally, the center runs a family addiction program which encourages families to engage in weekly family group sessions or a three day intensive family week. For first responders such as firemen, medical workers, and police officers, the treatment center offers a “Heroes Program” which helps them process their trauma and/or substance abuse issues. The treatment center is situated in a modern single story building and accommodates clients in semi-private rooms furnished with hospital beds. Patients also have access to the outdoor courtyard and nurse call systems. Group meeting rooms and a dining room are also available for clients. The Sage Retreat residential unit, adjacent to the detox unit, is a 16-bed facility with gender-specific rooms set up in a college dorm style. The detox process takes place in a co-ed unit with gender-specific, private rooms. The unit can house between 15-21 clients at a time. Clients are advised to bring casual clothing, toiletry items, and spending money. Inappropriate clothing or reading materials and cell phones are prohibited in the facility. Laundry services are made available for the residents. Residents are served meals thrice daily along with healthy snacks. A professional dietician designs the menu which includes a variety of options ranging from sandwiches, chicken, and grilled fish to baked potatoes and veggies. The detox program is overseen by the expert, certified medical doctors and emphasizes a comfortable and safe outcome. Registered nurses provide constant supervision and the acute, individualized detox services are provided by a multidisciplinary team. The residential program takes place at the Sage Recovery Center and provides services for both men and women who have completed the medical detox stage of treatment. The program emphasizes a holistic approach to treatment and may last between 30 and 120 days. Clients are also engaged in therapy and 12-step work. The sober living program offers clients a chance to practice and maintain recovery while living in a home environment. The program takes place Mondays through Sundays and provides 24-hour managing services. Hemet Valley Recovery Center and Sage Retreat cost approximately $13,500 for a 30-day residential treatment program at the facility and $4,300 for detox. The facility is in-network with most insurance companies and is willing to work with out-of-network providers; however, Medicare and Tricare are accepted. Clients are advised to contact the facility for more information on benefits, coverage, payment plans, and more. Insurance accepted include Aetna, Cigna Blue Cross Blue Shield, Value Option, Magellan Health Services, and more. The facility is accredited by the CARF (Commission on Accreditation of Rehabilitation Facilities), The Joint Commission, and the NAATP (National Association of Addiction Treatment Providers). After the completion of a primary program, clients are given an aftercare program which also includes group therapy. The facility also offers sober living options to clients who desire to continue receiving support. Residential treatment for older clients over the age of 55 is also available in a different unit on the same campus. The treatment offered at the facility is similar to one offered in the Sage Retreat program but with extra specialized treatments and services such as psychiatric counseling, age-specific therapy, young adult treatment (chronic pain support), dual diagnosis support, physical therapy, and more. Both the recovery center and Sage Retreat have qualified professionals with the necessary credentials to provide the best treatment to clients. Recreational activities such as outings and excursions are offered to patients to encourage having fun even while in treatment and sobriety. Clients seeking treatment at a facility that offers a range of treatment needs will find Hemet Valley Recovery Center and Sage Retreat to be a good option. Steve holds a Bachelor’s degree from the California State University in Health and Safety Studies and a Registered Nursing degree from Saddleback College. He also holds a Registered Nursing License and a certificate in Drug and Alcohol problems. Prior to joining the facility, he served in different capacities at different organizations including Cedars-Sinai Medical Center where he worked as a Clinical Instructor for the Care Units and then moved up to Nurse Manager at the same center but at the Physical Medicine and Rehabilitation Center. Sherry has over 35 years of experience in the behavioral health sector and specializes in treating clients suffering from depression and addiction. Prior to holding the position at the facility, she served in different capacities at different organizations including holding leadership positions such as Director of Nursing, Director of Education, Chief Nursing Officer, Director of Clinical Services, Chief Operating Officer, and more. Manikanda is board certified to practice internal medicine and is very passionate about delivering high-quality care to his patients. He values one-on-one relationships with his patients and focuses on gaining their trust building a healthy relationship for complete and long-term recovery.